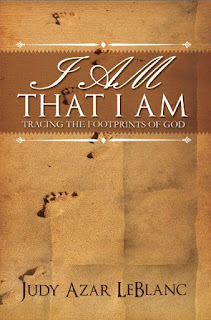 Multi-award winning Christian author, teacher, and lifelong student of the Bible, Judy Azar LeBlanc, proudly announces the release of her latest book - I AM THAT I AM - Tracing the Footprints of God. 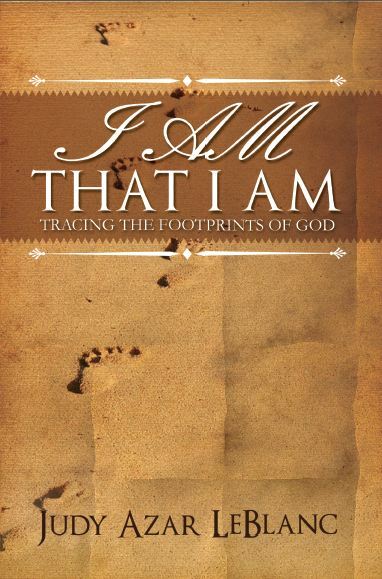 I AM THAT I AM is an in-depth biblical study into the knowledge of God and who He is by revealing the eight Covenants given to humanity by God with an in-depth discussion and analysis of the full parabolic, healing, and divine ministry of Jesus Christ. The author includes an extensive list, as written in the Word of God, of over fifty names and titles of God that reveal His character, divinity, and attributes of His personality. The reader will be given a new perspective and an intimate understanding of God that will prove to lead the reader into a new understanding and appreciation of who God is, and how much He loves humanity. A deeper understanding of Scripture, who God is, His character, His attributes, His promises, His Covenants, and His involvement with humanity throughout history are clearly expounded upon through Scripture including the use of Hebrew/Greek root words and meaning. A comprehensive study of biblical events supported by full color archaeological images of recent excavation findings, historical illustrations, and map images that show relevance to modern day locations to give the reader a full perspective of the impact of God's Covenants, grace and promises to all of humanity. A comprehensive understanding of the spiritual blessings provided by the different dispensations throughout history to include: salvation, forgiveness, redemption, justification, reconciliation, deliverance from the power of darkness, heavenly citizenship, direct access to God the Father, adoption, our inheritance, and the freedom from the law under grace. Many, maybe even millions seek God on a daily basis, or perhaps just every Sunday in churches, and through various media, but without the knowledge of who God is, how can one come to know Him? How does one know that he or she is really loved by God, and that God is who He says that He is? Author Judy Azar LeBlanc answers those questions in full spectrum. This is a wonderful and enriching book that will remind and bless the Body of Christ, that God is --- the Great I AM THAT I AM. For more information about the author and her books, visit www.manyfacestomanyplaces.com. You may also contact the author directly at ijudyazar@yahoo.com. A Christian Book Marketing Press Release sharing Christian authors with book lovers around the world.